The verdant lawn, blossoming bushes, colorful flowers of different sizes, comforting shades from trees, natural soft fragrance from flowering vines, relaxing sound of water and dramatic effect of landscape lights at night are some of the characteristics of a beautiful landscape. However, regular landscape maintenance is needed to keep them looking gorgeous. A beautiful landscape is also the result of a well planned landscape design. Why Start with Landscape Design? Engineers believe that planning has to be done several times before commencing construction. The same goes for landscape installation. It doesn't matter how many times the landscape design is revised as long as it has achieved perfection. But what is a perfect landscape? To define that, you need to define your wants and needs first. Most people in North Carolina want a landscape to transform a messy area into a desirable surrounding while some want this for increased real estate value. In a landscape designer's view, however, the design is a work of art. 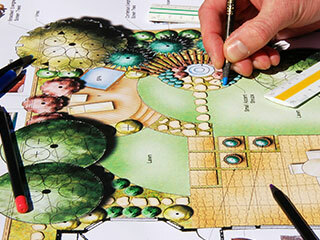 Landscape design is actually more than just a work of art. It is also a work of science. Different plants have to be arranged in a space using construction materials like natural stones, manufactured pavers, concrete, and woods. Every landscape artist aims to organize the area while creating a visual relationship among the structure, the landscaping area, and the neighboring areas. But a better landscape design must reduce maintenance to at least the practical level while conserving resources like water and electricity. A great landscape design must also reduce the environmental effect, if it cannot help in sustainability. The best landscape is more than just all these. It also needs to be functional. That is why driveways, walkways, stepping stones, patios, pergolas, benches and other areas that serve to better human experience in the landscape must be built, too. In other words, the best landscape design must serve rather than be served. A landscape designer or architect can only be rightfully called as such after passing intensive education, training and examinations. The designers at Seasons Unlimited have a lot of experience and an excellent sense of style besides having all the required training. Our portfolio can clearly speak for the excellence of our high-end landscape design services. 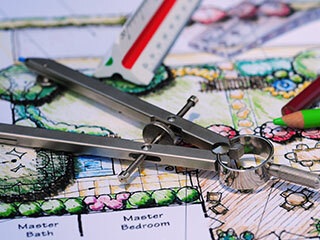 There may be other companies offering landscape design in North Carolina. However, our company is the better choice because we are a full-fledged landscaping company. There's no need to look for other nurseries and contractors to do different kinds of landscaping job for that would only be very costly on your part. With us, plants are typically offered at a discounted price if will would do the landscape design and installation. Even better, we can do a lot of other things that you might need after the installation. Every little bit of our service, be it for a residential or commercial purpose, is always finished with superiority and excellence. But then again, a superior and excellent landscape is never possible without the perfect landscape design. We never accept an installation project without a design because we know that clients would be dissatisfied with the results and that might lead to costly problems in the future. So, no matter what kind of landscape you are dreaming of, it must be installed only after finalizing the landscape design. © 2019 Seasons Unlimited Landscape Contractors, Inc.